Stone floors are beautiful and they are a good investment. As with any floors they need a regular maintenance. Sweeping stone tile floors with a dust mop or broom will remove dust and dirt as well as sand and other abrasive materials. If you use a vacuum cleaner be sure to remove the beater bar as it may scratch the stone tile. In order to protect your stone tile floors you might want to use mats and rugs in high traffic areas to trap any dirt, grit and sand that may scratch it as well as use protection cape on your furniture legs. 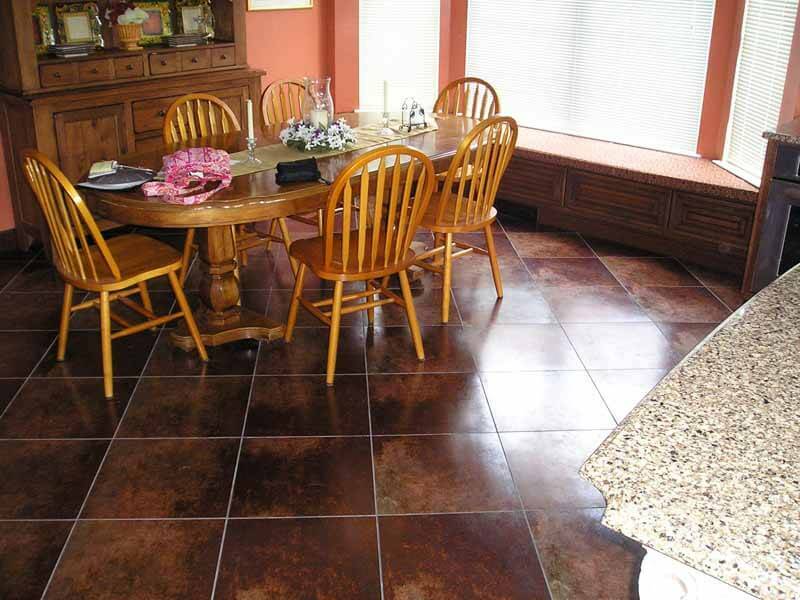 Sealing may be helpful in protecting stone tile floors from staining. Do not use acid containing cleaners as well as vinegar. The bathroom, grout and tile cleaners can contain acid so use only special soap for stone. Avoid any abrasive cleaners. Take a clean mop and add a bit of soap to the bucket of water. Do not use too much soap as it will leave streaks on the stone tile. The mop should be damp without any excess of water. Since stone is porous the water, oil and other liquids can soak in and cause stains, so wipe any spills and dry mop your stone floors after each mopping. The stone tile pavements in the outdoors can be cleaned with a mild bleach mixed with water as it is quite helpful in removing algae and moss from the stone. Don’t forget about precaution tips – do not mix bleach and ammonia; add bleach to the water not the other way around; prepare plenty of clean water to rinse the pavement and any bleach spillage to your flower bedding. Remember that acid can make your stone floors look dull. Be sure to dry floors after mopping and wipe out any liquid spillage. Vacuum cleaner’s bristles can scratch stone tile as well as can grit and sand. Do not use cleaners for bathrooms, tile, and grout to clean stone tile floors.